Quite handy really as I have been out of my studio again! thankfully the anti-biotics have worked and her temperature has come down. but for now she's pretty contented - asking for fuss and begging for treats!!! Beautiful card! Hope you're Westie is stable for a while! Fantastic colouring Jane. Love the textured effect you've achieved. Sorry to hear about your little Westie. Hope she's feeling better soon. 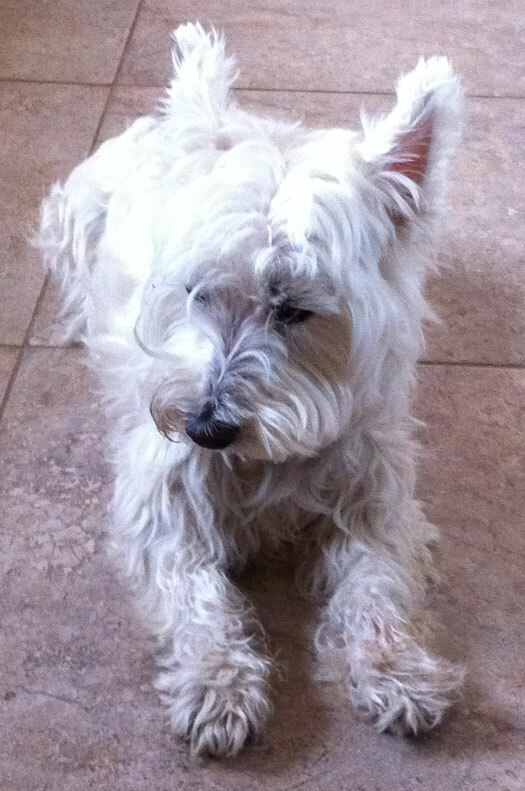 Prayers going up for your precious Westie. Your little dragon does not look like a close relative of Dudley, but is still adorable. Your colouring is ACE!!!! love it. Sorry your little westie is so poorly. Fantastic Jane, I love how you coloured the skin, such a great technique! So sorry to read about your little dog, she's so cute and I hope you get some more time with her, I know how hard this can be. Stunning as always Jane, your colouring is amazing! !, I hope your little fur baby gets soon my friend. I still miss my pup so give yours all the love it wants. The card is great Jane. You got such great texture with the stipling. Hugs! 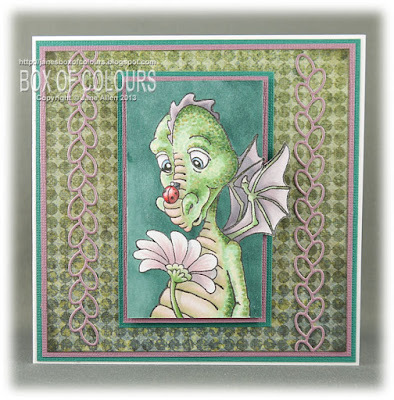 Gorgeous card Jane, you have made that dragon into a sweety, we won't tell him that:) Have a wonderful weekend..
Love your card Jane, and I think I remember seeing this IRL, fabulous as always. I'm sorry you have had more trips with Roo, bless her, I hope she's out of pain. Your Westie is so precious!! So selfless, isn't it funny, that's all they want from us, in the too short period of time they are with us!! How we LOVE our Fur-babies! !